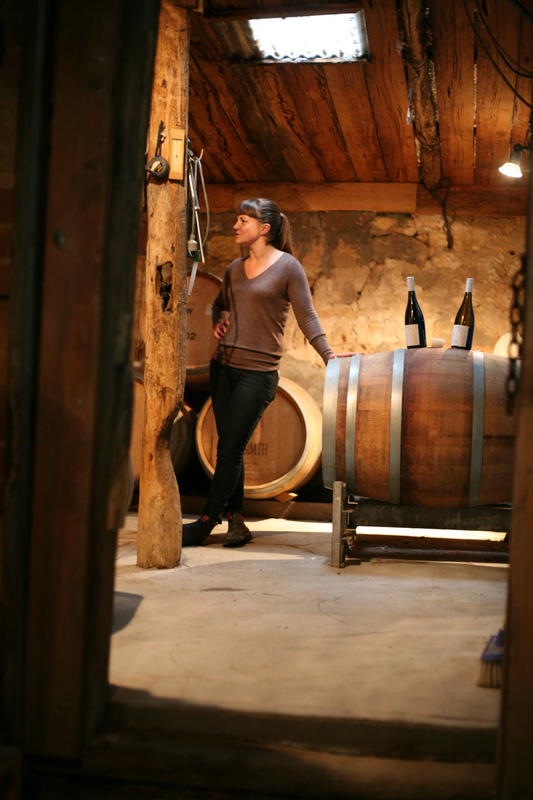 Wines from Charlotte Dalton are all about personality – that of the grapes, and of the maker. In the vineyard-soaked cradle of Basket Range, small charming wineries are the norm. But Charlotte Hardy’s winery is especially excellent. Taste Charlotte’s new releases and wines from 26 other independent, next generation producers at The Fruitful Pursuit’s Wine Playground event on Saturday September 10. Located in an old pig sty with historic brick walls and soaring timber beams – one of which features an indent where the pigs used to scratch themselves – it has a sense of calm. It’s something Charlotte tries to maintain as she makes wine for her label Charlotte Dalton (Dalton is her middle name), which launched just last year but is already attracting serious attention. Charlotte’s responsiveness to the wine is indicative of her approach to the whole process of winemaking. While she studied at Charles Sturt University and worked for about 15 years in the big leagues making wine across Australia, New Zealand, France and the United States, she’s always had a sensibility for more intuitive wine. “I just really wanted to make wine that I wanted to make, I have a sense that with wine, when you drink it you get a feeling for the person who made it,” she says. Her wines are made as direct expressions of what Charlotte feels the grapes should become – a method that means she spends a lot of time in the vineyard as well as in the winery. “I didn’t start out with an idea in my head about the flavour until I spent quite a bit of time in the vineyard and then it wasn’t really until I had the grapes in the winery that I thought ‘well, what am I going to do with this stuff?’,” she says. For her first wines she made a Semillon and Shiraz – both taken from Adelaide Hills vineyards as part of the 2015 vintage, with the shiraz grapes coming from the oldest planting of that varietal in Basket Range. Bottled under labels made by Charlotte’s artist friend Saul Matthews and named to commemorate her Mum, who passed away recently, the pair of wines are almost entirely sold out. 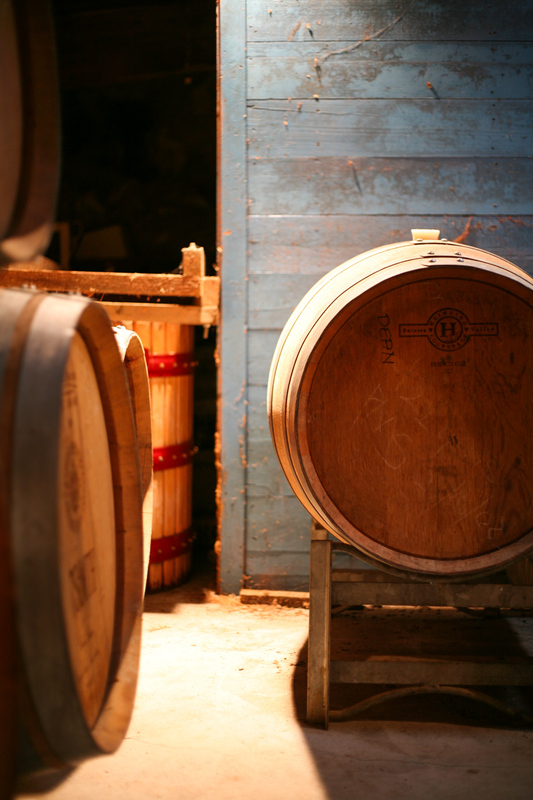 “The Sem – it’s quite racy and tight, it has lots of lees work – it spent its whole life on lees and barrel fermented and stirred and the fruit ended up the same this year, so that’s good – it has kind of given itself to that style two years in a row,” says Charlotte. Her next releases are being launched at The Fruitful Pursuit’s Wine Playground event on September 10. For her sophomore range, Charlotte is presenting a 2016 vintage Semillon, a Pinot Noir made from a vineyard that neighbours her property and a Shiraz made from the same grapes as her 2015 release, but treated very differently. “I was kind of missing polymerised and mature tannins, I hadn’t seen a lot of that around lately because people are bottling early,” she says. Charlotte’s energy and deep knowledge of wine does translate into the bottle – just as she hoped – resulting in wines that are just as charming as the space in which they’re made.